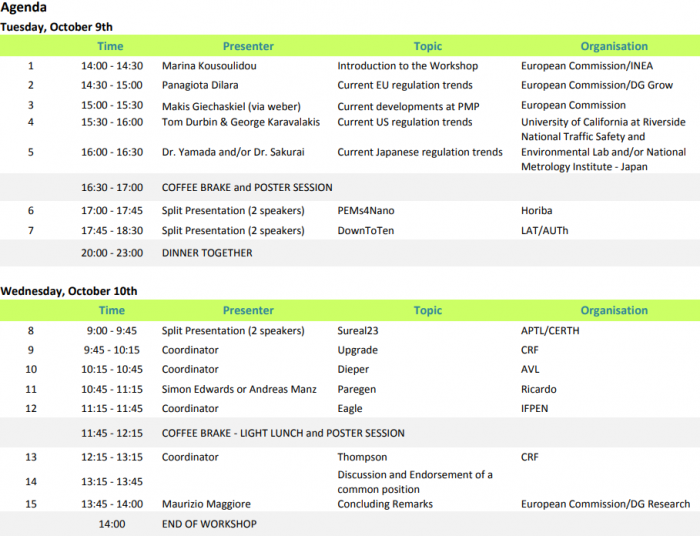 The coordinators of the three nanoparticle research EU projects PEMS4NANO, SUREAL-23 and DOWNTOTEN cordially invite you to a joint workshop on “Measurement and characterisation of nanoparticle emissions from powertrains”, to be held in Thessaloniki, Greece, on October 9-10, 2018 at the Research and Dissemination Center of the Aristotle University. Participation is free of charge. Click here for more information.